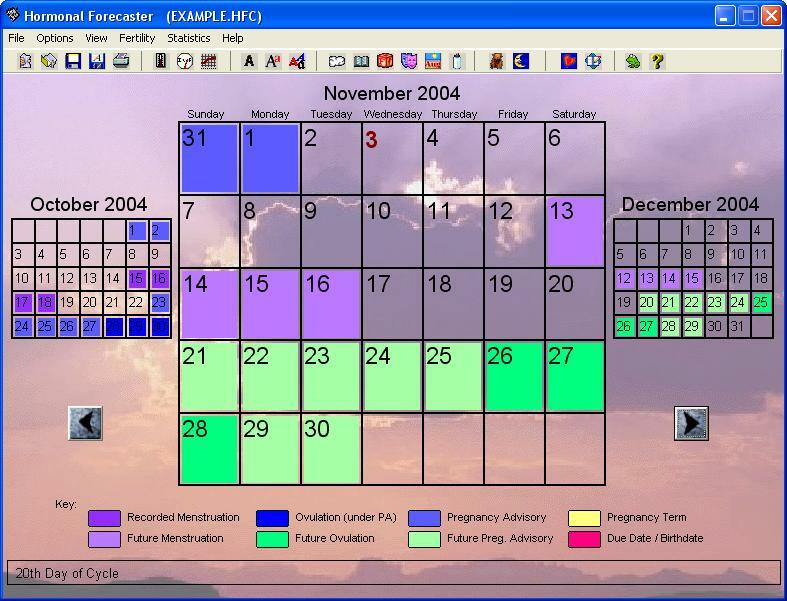 The Hormonal Forecaster is quite simply the best fertility software available. It is jam packed with features. 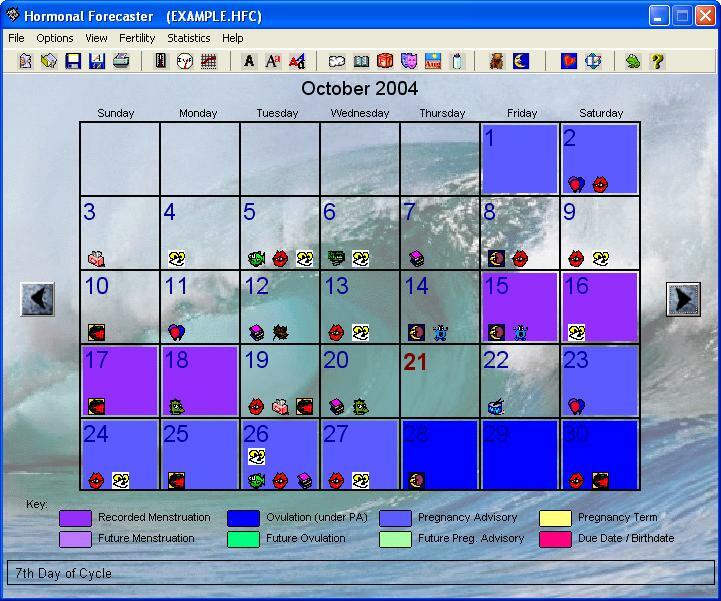 From ovulation charting with fertility and menstrual cycle extrapolation to multiple techniques of complex behavioral analysis, the Hormonal Forecaster has numerous features that go well beyond typical software. It's all engineered to be as simple, and yet powerful and efficient, as possible. Below you will find an overview of the desktop version. It includes a listing of features, screen captures, and a download link so that you can begin using it immediately. 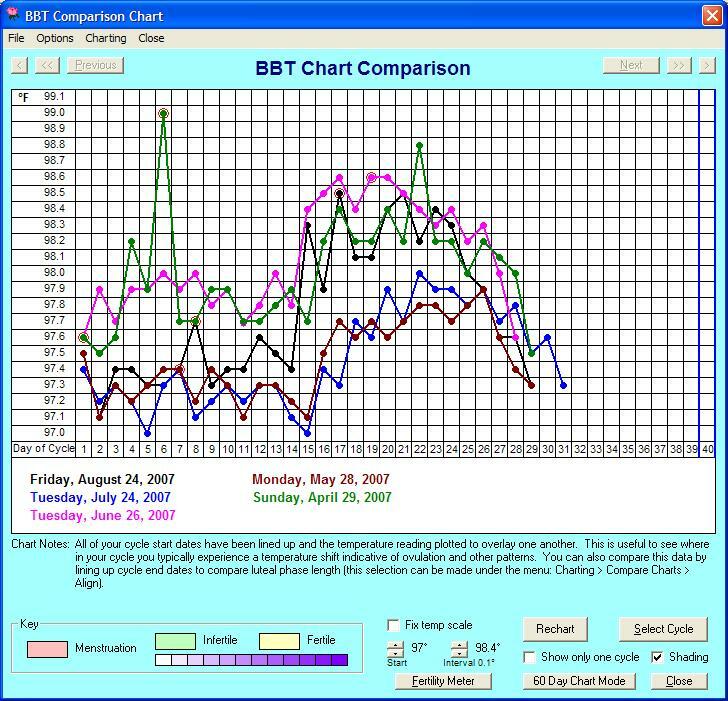 Track Fertility based upon several Natural Family Planning Methods such as the Ovulation Method, the Symptothermal Method, and the Calendar Method. 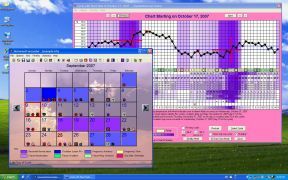 Automatically Generate Symptothermal Ovulation Charts based upon Record Cycle Dates, Basal Body Temperatures, Cervical Mucus Observations, Cervical Position, Ovulation Test Results, and/or Saliva Ferning. 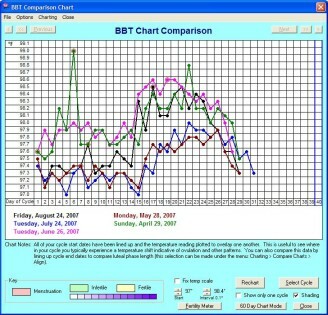 Gender Prediction Graphs show how ovulation can be timed to Influence Gender Based Upon the Shettles Method. Record temperature data by clicking directly on ovulation charts. Manual ovulation dates can be specified to override calculations or to show symptothermal ovulation on the main calendar screen. Record, View, and Search Daily Personal Notes to keep track of other textual information. 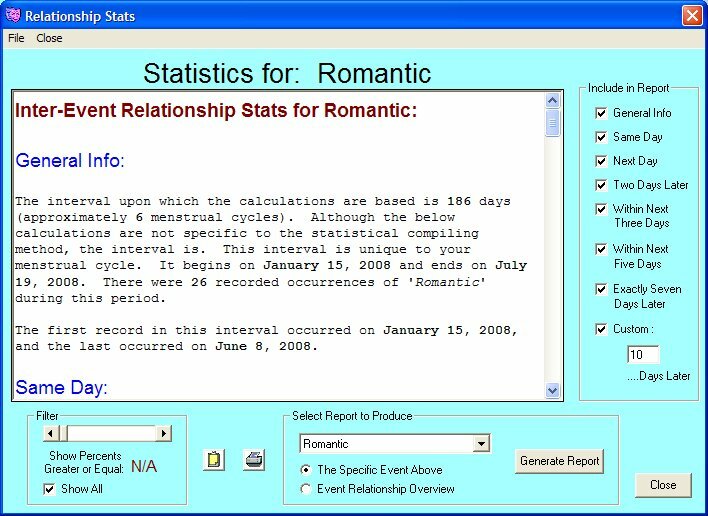 Create Occurrence Reports that Enumerate Dates on which Specific Events were Recorded. Click on any of the desktop screen captures to view a larger image. (Ovulation Chart) with Patent Pending Chart Shading Technology. The Hormonal Forecaster desktop version is designed to be the central software that unites the different versions. It contains the most diverse feature set and the most advanced computational capabilities. You can enter and view your data using other platform editions and then synchronize back with your desktop computer to maintain a permanent record and point of reference. 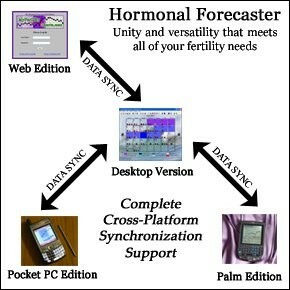 While each version of the Hormonal Forecaster can still be used on its own, synchronization offers you the most flexibility to combine individual solutions to best cater to your fertility and personal information needs. 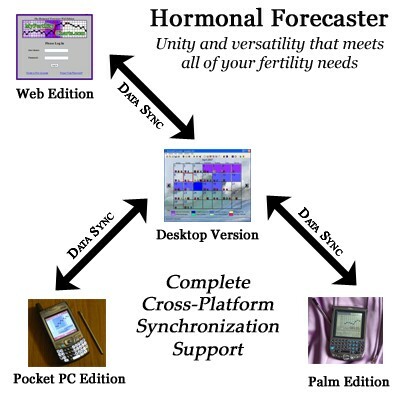 You can download the desktop version of the Hormonal Forecaster and begin using it immediately by using the download link below. 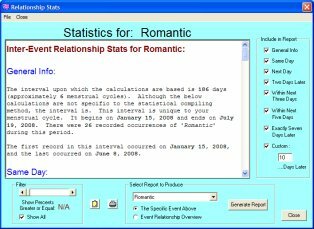 The download is provided free of charge with no obligation to purchase the software so that you can discover its vast capabilities. Additional information and installation instructions can be found on the download page.